Football Coordinator's Welcome to Amherst Patriots Football! 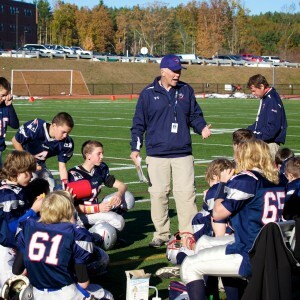 The Amherst Patriots are built on the foundation of respect, integrity, hard work, and accountability. Our primary goal is to help teach and guide the kids on their journey while instilling our core principles in them as they grow into becoming young adults in our community. As Football Coordinator within the organization, my primary objective is to lead the organization from a football operations perspective. I am responsible for selecting the Head Coaches for all levels of football and serve as a primary contact for parents inquires related to football operations. Additionally, I ensure our Head Coaches are certified through USA Football to teach our players proper football fundamentals and provide a safe playing environment. I have a passion for the game but most importantly a passion for all the lessons football has taught me and those lessons have helped me throughout the course of my post football professional career. Coaching assignments are made by the Cheer and Football coordinators. If you are interested in being a head coach or assistant coach, please e-mail them by clicking on the links below. Sending an e-mail does not guarantee you a spot on the coaching roster.